scrap everything: Less is more! Hi Karin,just left a message on PCP for you as well. Great to see you have started creating again. Love the card. You were one of my first inspiration blogs, so it is lovely to see it reappear again. Warm wishes. toll mal wieder etwas von dir zu sehen!freue mich,das du wieder karten bastelst und deine kreativität geblieben ist! 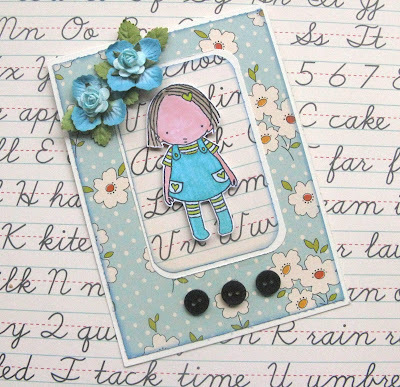 oh hello again karin ~ what a fab card ~just love that sweet image and such a pretty frame ~love to see you back! !